[Solved] Fix Couldn’t Verify Update Package problem . How to Solve Couldn’t Verify Update package Error . 1 How to Solve Couldn’t Verify Update package Error . 1.1 How to fix Can’t Verify Update Package Issue while Updating manually . 1.1.1 Solve Cant Verify update package error in Xiaomi redmi note 3 . Do you want to know how to solve Couldn’t verify update package problem in Xiaomi redmi note 3 and other smartphones ? If yes then you are at right place . Today we are here with the Guide on How to Solve Couldn’t Verify update package error . 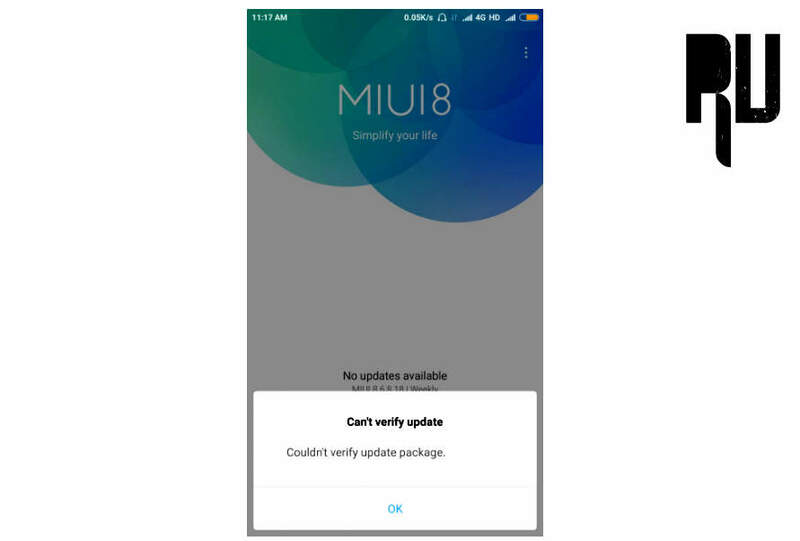 Many users complained that while Updating their Redmi note 3 they Got Couldn’t update verify package error . Many times when we try to update our smartphone manually we get Couldn’t verify update package error every time and this error can come because of many reasons like you are upgrading from Developer to stable rom , The Downloaded rom is not for your device and many more . So lets Solve Couldn’t Verify update package problem miui in android phones . How to fix Can’t Verify Update Package Issue while Updating manually . After renaming Just make a reboot of your smartphone . Now go to the updater app And Tap on 3 dots . Now select Choose update package . Now the recovery will start getting info . Thats all You have successfully solved cant Verify update package problem . How to Change Pokemon Go Team . Make sure You are connected to WIFI/3G . To update the smartphone recovery confirms from the servers that the updating file is Correct or Not so it is necessary to have a active and fast internet connection to get rid of Couldn’t verify update package error ‘ . So here is how to Solve by 2nd method . First of all Go to Updater app . Now open settings in Updater app . After opening settings you will see Two option . Now again go to the updater app and Select the Update.zip . Now you will see that the Phone starts updating without getting Could not verify update package error . Solve Cant Verify update package error in Xiaomi redmi note 3 . Xiaomi redmi note 3 is the top most selling smartphone in Indian market in 2016 , After the launch of miui 8 Users are complaining Couldn’t verify update package in redmi note 3 while trying to update . So Lets start the the Third method to Solve Xiaomi Redmi note 3 Cant verify update package error . Make sure the Update file is for your smartphone is Not corrupted . 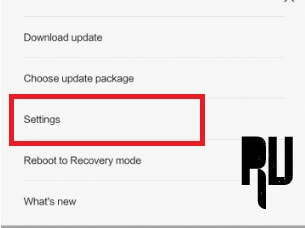 Sometimes by mistake we download rom or update file for another smartphone and to prevent the smartphone from bricking the recovery shows Couldn’t verify update package error so below is the method to solve Cant verify Update package Miui redmi note 3 . First of all make sure you have downloaded the Correct update for your phone . It is Always recommended to download the Update / Custom rom in Computer or laptop to avoid file corrupt . After Downloading In Pc connect your phone and transfer the downloaded file . Now go to updater app and Update manually . 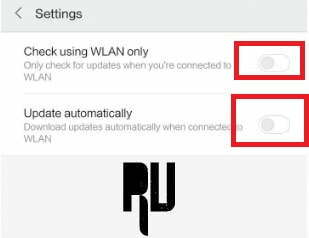 By Doing this you will Fix Cant verify Update package problem redmi note 3 . So this was our guide on How to Solve Couldn’t verify Update package problem in miui Redmi note 3 and other smartphones . Hi Shubham yes you can Go from miui 8 to miui 7 by this method . Choose Miui 8 Global Stable . can i use this on my redmi note 3 hennessy rom to update miui8? is it work for mediatek? on redmi 3 is it working? Has anyone tried this method yet?